British and Irish Women’s Letters and Diaries spans more than 400 years of personal writings, bringing together the voices of women from England, Scotland, Ireland, and Wales. 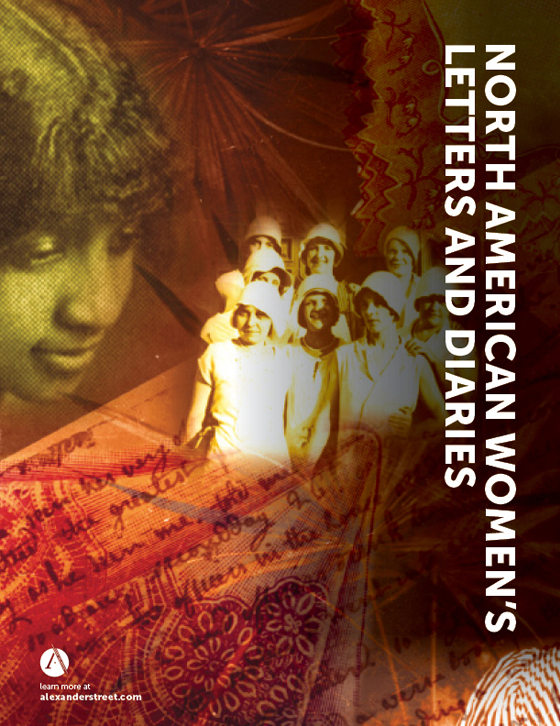 Complementing Alexander Street’s North American Women's Letters and Diaries, the database lets researchers view history in the context of women’s thoughts—their struggles, achievements, passions, pursuits, and desires. Extending back to the 1500s, the collection shows researchers the various shapes and formats of the diary as it evolved, including the travel diary, offering detailed accounts of journeys and descriptions of places; the daily personal diary, in which women reflected more broadly on aspects of their lives; letter diaries, wherein a daily dated letter to a recipient served simultaneously as a diary entry; and other forms. 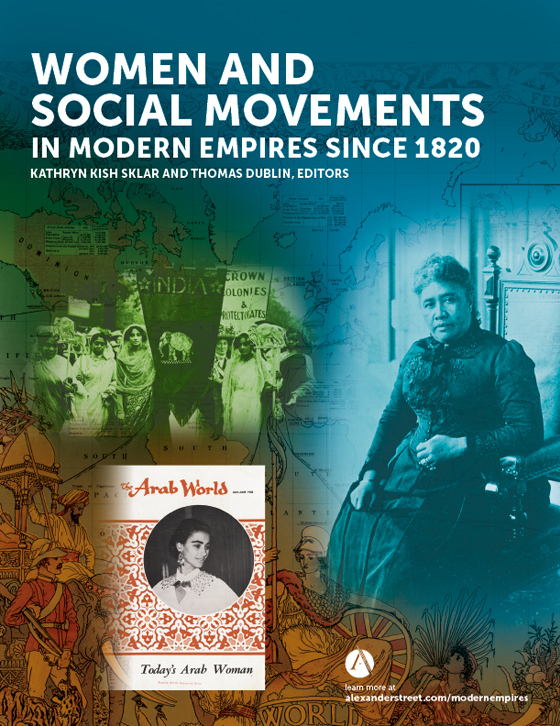 British and Irish Women’s Letters and Diaries includes over 100,000 pages of material assembled from numerous bibliographies and from newly conducted research. Alongside the published material are 4,000 facsimile pages of previously unpublished manuscripts. Because the project captures materials that are written contemporaneously, readers see the honest, often stark perspective of the moment, as opposed to the self-censored attitudes that can appear in a memoir. All forms of diaries—religious, travel, and journalistic—enrich the content of the collection. 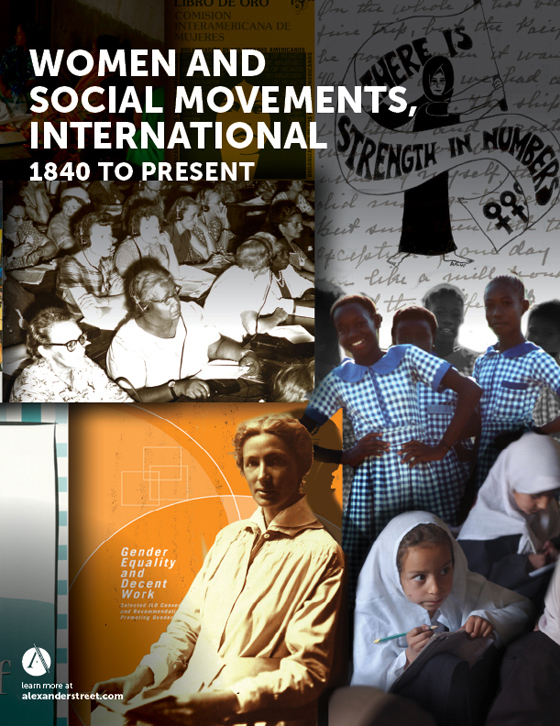 The mix of topics includes Australia, actresses, China, convent life, courtesans, court life, criminals, families, festivals and fairs, hospital work, literary society and life, missionaries, Palestine, political life, educators, railroads, scientists, social reformers, voyages, world tours, women soldiers and sailors—to list just a few of the many subjects that are indexed. Both the famous and the unknown populate the collection. The lives and thoughts of Elizabeth Barrett Browning, George Eliot, Mary Shelley, Queen Victoria, Frances Kemble, Queen Elizabeth, Mary Wollstonecraft, Christina Rossetti, Florence Nightingale, and Maude Gonne can be compared with the experiences and ideas of ordinary women from all walks of life. 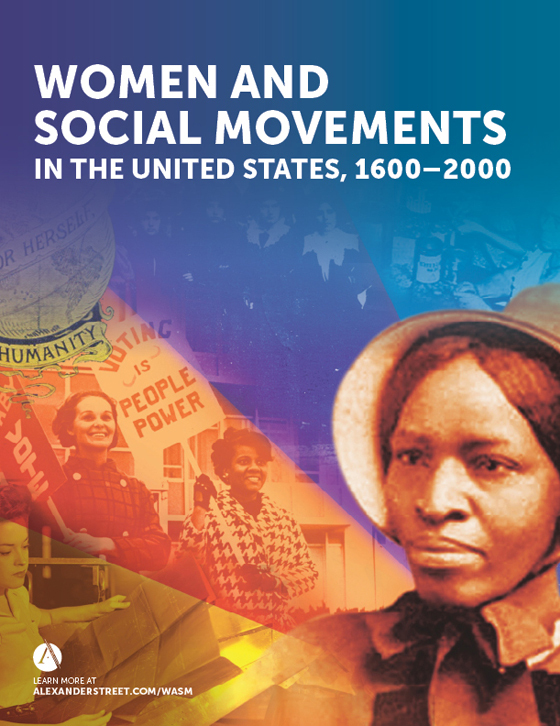 The result is a collection that brings to life the thoughts, observations, pastimes, and daily habits reflecting the collective consciousness of women from the 16th to the 20th centuries. Other assets to the collections are materials licensed from The Imperial War Museum in London, including the unpublished letters and diaries of women who served during both world wars. Many of the letters and diaries appear in a wide range of print publications, including books, journals, magazines, and newspapers. Only here do they exist together, in electronic form and deeply indexed, allowing scholars to access, compare, and question as never before..
Show me all passages that mention childbirth between 1820 and 1840. Find all discussions of etiquette in the presence of the British royal family. What materials were written from September 17 to September 25, in years from 1730 to 1780? Identify letters sent from women living in London to men in Ireland. Find “murder” discussed in Jane Carlyle's letters and diary. Show me all writings by Welsh women. In Fanny Burney’s diary, find all descriptions of King George III. Find diary entries written in Scotland by Queen Victoria that mention John Brown. Did children younger than twelve years of age keep diaries in the nineteenth century? We were startled this morning at seven o’clock by a letter from Colonel Phipps enclosing a telegraphic dispatch with the report, from the sixth edition of the Sun, of the Duke of Wellington’s death the day before yesterday, which report however, we did not at all believe. Would to God that we had been right, and that this day had not been cruelly saddened in the afternoon. Then Mackenzie returned bringing letters… [one] … contained the confirmation that England’s, or rather Britain’s pride, her glory, her hero, the greatest man she ever had produced, was no more! Sad day! Great and irreparable loss! 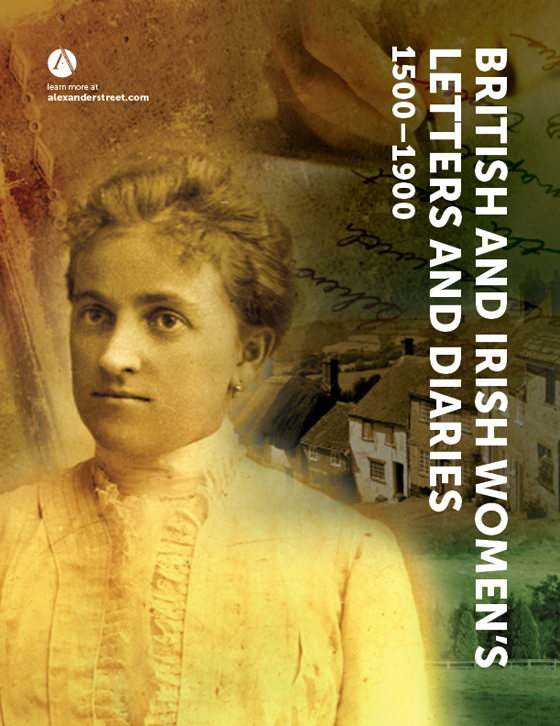 British and Irish Women's Letters and Diaries is available on the Web, either through one-time purchase of perpetual rights or through annual subscription. 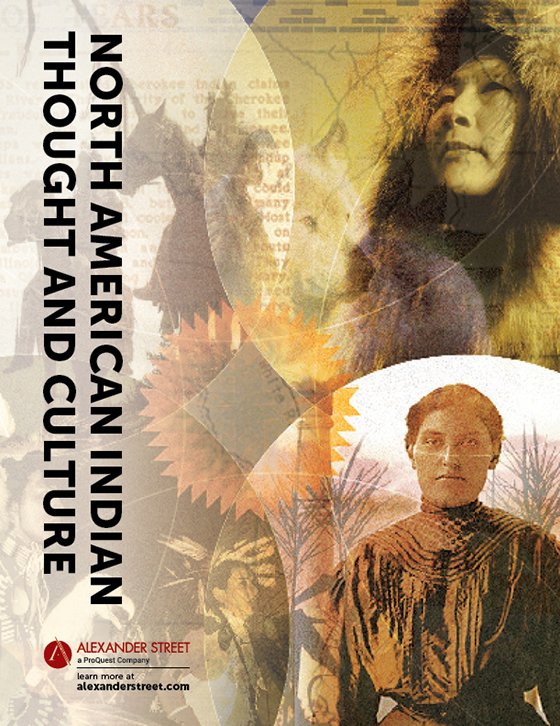 It contains over 100,000 pages of writing, including at least 4,000 pages of previously unpublished manuscript material. 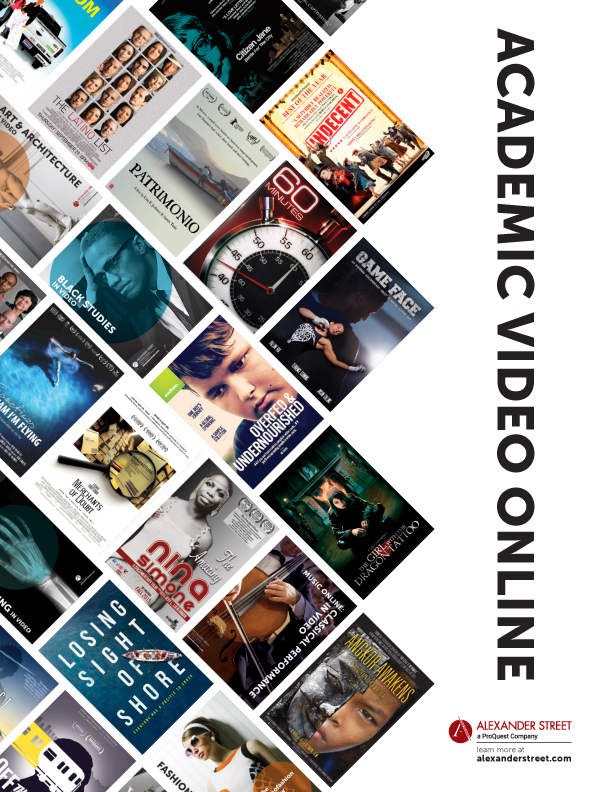 Editorial advisors include Melissa Hardie, Hypatia Trust, Cornwall, England; Elizabeth Heckendorn Cook, University of California, Santa Barbara; Tamara Hunt, Marymount Loyola University; and others. …those who are endowed with the gifts of nature, as to exterior beauty... are obliged to preserve, and display them, both to do honour to nature's munificence, and also that they may not deprive themselves of the advantages which they may procure them... With men of taste, beauty in the simplest garb, will be beauty; and deformity, deformity; though caparisoned like the Mogul's elephant, with rubies and diamonds.